DCS Home Improvements has specialized in seamless gutter installation for over 10 years. Family owned and operated, we offer an industry leading guarantee of 5 years! Our professionally installed seamless gutters can withstand up to a category 3 hurricane. All seamless gutters are and crafted and installed on site ensuring that our seamless gutter installs are quick and accurate. 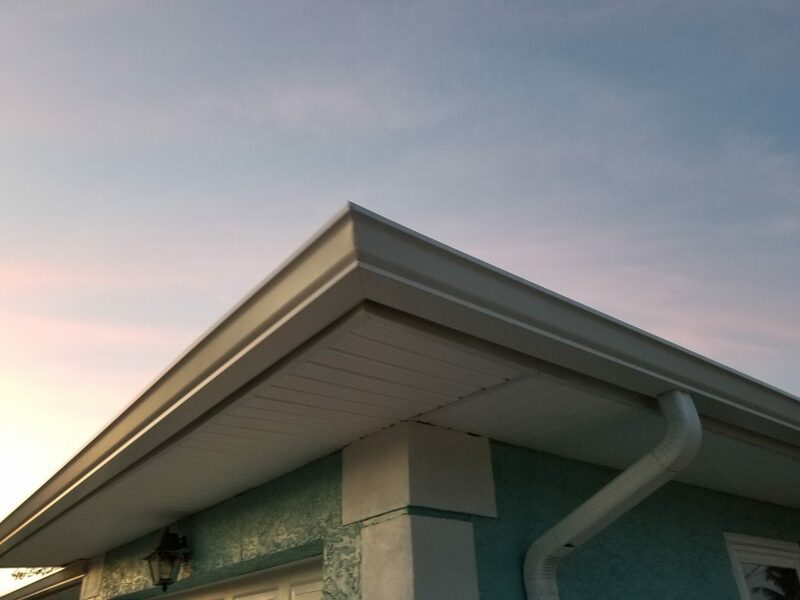 Serving the treasure coast, we custom craft and install all types of gutters including: k style, half round, copper, mill finish, box gutters, carport gutters. Be sure to ask about our gutter art. We offer custom 6 inch, 7 inch, half around, copper gutters, box gutters and more! If seamless gutters are so great, why would someone not use them? At DCS Home Improvements, serving the greater treasure coast area, we ask ourselves the same thing. In this competitive market of gutter installation companies sometimes the cheapest price wins, which many times means the use of poor quality, typically vinyl gutters that have seams. These lower quality gutters will develop sag points and leaks over a short period of time leaving you with an unsightly, useless gutter system. In housing markets where cookie-cutter homes are common, every little detail counts. This is where custom gutters can really help your home stand out. As a professional seamless gutter installation company, we are not limited to the type of gutter that we can do. We can custom craft seamless gutters including: milled finish gutters copper gutters, gutter art, rain chains and more. 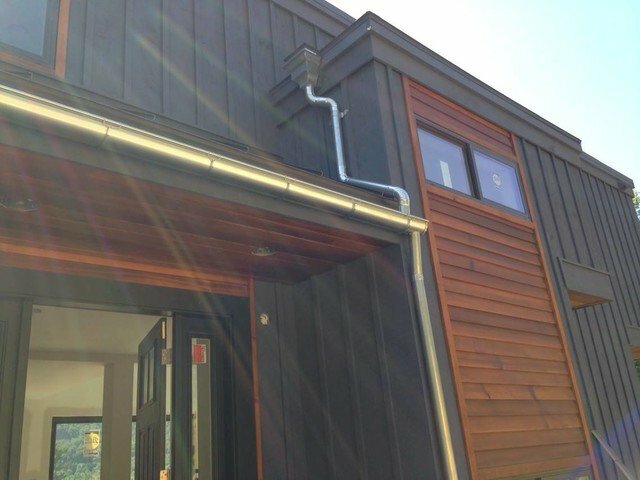 Utilizing our unique custom craftsmanship techniques, that makes even our competition envious, our specialized equipment provides an elegant touch to your custom gutter installation. Looking to take your home to the next level? 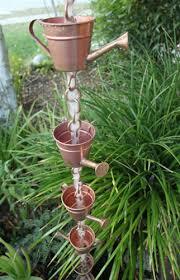 Growing in popularity is the fantastic vintage look of copper gutter systems. While aluminum seamless gutters clearly are better and more durable that the vinyl substitute, copper is the winner when it comes to strength and longevity. Known to last between 60 and 100 years, this traditional look is popular with historic or high-end homes. When these beautiful Copper gutters are paired with your homes brick, stone, stucco, wood or slate materials it adds that extra touch of class. Copyright © 2019 | DCS of South Florida. | All Rights Reserved.